Let me start with the reason I thought of writing this short post on my blog after a very long silence. Last evening, I logged on to the internet banking portal of NSB (National Savings Bank) to check my account balance and make a few transfers, I realized their service was down. No regret messages, no maintenance notice. DNS doesn’t resolve and the home page never even loads. I tested it with a ‘down or just me’ service and it was verified the site is down for everyone, not just me. I waited for about an hour and tried again, but results were the same. I called their customer service number but I was put on hold endlessly, so I gave up my hopes. This morning, a few minutes back I tried the service again but the result was the same. After 12 hours the site is still down! Then I visited their bank’s home page to see if there are other methods of contacting them (other than the customer care hotline which never gets picked). To my delight, there was an online chat support option on the site. I initiated a chat with the support center, and I received an automated message “I'am sorry i couldnt understand your question. Please Select from the options below”. Again, no notification that the support agents are away and when will they commence working for the day. I searched on Facebook to see if there is a Facebook page for me to leave a message. Surprisingly, there were about three or four pages with the name National Savings Bank (with their logo as profile pic), but every page had about 400 to 500 fans and not maintained up to date. They don’t have a Facebook presence yet! And that was the exact moment it occurred to me that I need to write this blog post :-) So please read on! 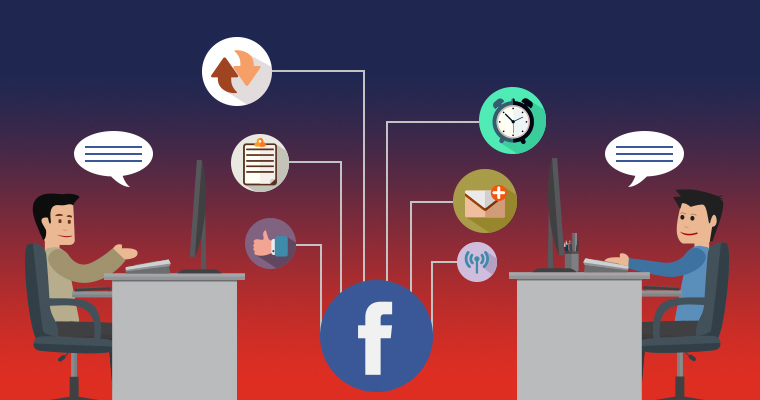 Let’s imagine a typical boardroom session at NSB Marketing department where they wanted to make a decision to start a Facebook page and embrace Social Media Marketing. Someone would have probably asked a series of questions like, “who is going to maintain the page?, how often should we post? who is going to design the artworks? Can I see an initial sketch of the page’s design?” etc etc. After resolving all of these, they would have probably done a dummy of the page. At this stage, someone would have probably questioned “it doesn’t look nice. Can’t we change the colors? Can we change this? That?”. The story goes like this, and they would have simply abandoned the project and it resulted in NSB not having a presence on Social Media. This is what happens when you take Social Media only as a marketing tool. You evaluate social media with the same metrics as in evaluating a print ad or a POSM material. But it is not. Social Media is not anymore just a marketing communications tool. It has now become a customer service channel too. Your customers expect to talk to you through social media when they are in trouble, and if you are not on social media you are essentially frustrating your customers. It’s a hygiene factor now; not an option. Point I try to get at is, it was a very long time ago that brands had to have a Facebook presence as a marketing tool. Today, especially in the service industries like banking, Social Media is not only a marketing tool but also a customer service tool. If bulk of your customers is already on social media, they expect your brand also to be on social media to answer their customer service queries whenever they want. Gone are the days the customers waited till 9.00am next morning to call your call center to make a service inquiry. They want it now! Service industry can now integrate their traditional customer service channels with Social Media and give a seamless service experience to customers. You no longer should maintain a call center to take inbound customer queries via telephone and maintain a different team to manage social media messages and comments. This can be now integrated and you can use social media as a very effective and fast customer service channel to keep your customers delighted. There are cloud based tools where you can set-up a “virtual customer service center” where you can deploy customer service executives around the clock from multiple locations to run a 24x7 customer service operation in a very scalable manner. All this is possible due to the recent advancement in digital communications industry. While this may be a ‘nice to have’ feature for many industries, I believe any company in the service sector (banks, insurance, telcos) must seriously consider getting into the Social Customer Service very soon. If you are serious about setting up 24x7 Social Customer Service for your brand, just message me via LinkedIn or reach out to me through any other means. We have some off the shelf solutions already in Sri Lanka.